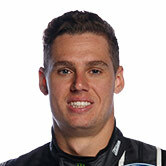 Prodrive Racing (Australia) has confirmed the graduation of Cameron Waters to its V8 Supercars Championship Series line-up where the reigning Dunlop Series Champion will be backed by energy drink brand, Monster Energy. 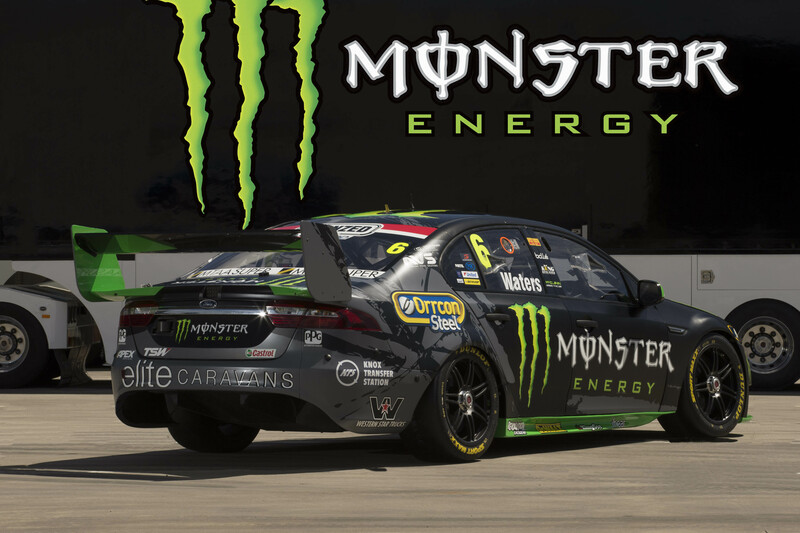 Waters will drive the #6 Monster Energy PRA Ford in his maiden season in V8 Supercars’ top tier, sharing the garage with 2015 champion, Mark Winterbottom, who also gains support from Monster Energy. Alongside title-partner Monster Energy, Waters will also be supported by long-time sponsor ENZED as well as established PRA partners Castrol and Orrcon Steel who are joined by new team partner, A1 Office. The 21-year-old is eager to get racing and build on his experience after claiming his and the team’s maiden Dunlop Series title in 2015. “It is really cool to confirm my plans for this season and to have Monster Energy come on board is amazing, I am really honoured such a big global supporter of motorsport is joining the team,” Waters said. “They are a super-cool brand and the opportunities we are going to have this year are pretty awesome. We’re going to have some fun and I look forward to meeting other Monster Energy athletes from around the world. “I am also proud to be driving the #6 alongside Frosty. He has a wealth of experience and as a Bathurst winner and champion of our sport I am keen to work closely with him to assist my development. Monster Energy Marketing Director – Oceania, Scott Tabe-Lewis, welcomed Waters to the Monster athlete family. “We are really excited to have Cameron Waters and Prodrive Racing join the Monster Energy team,” Tabe-Lewis said. “We’ve been watching him and the team for some time and seeing the success Cameron had last year, his attitude and the way he goes racing is something we were keen to be a part of as his star grows. Prodrive Racing CEO and Team Principal Tim Edwards welcomed the support of the energy drinks giant. 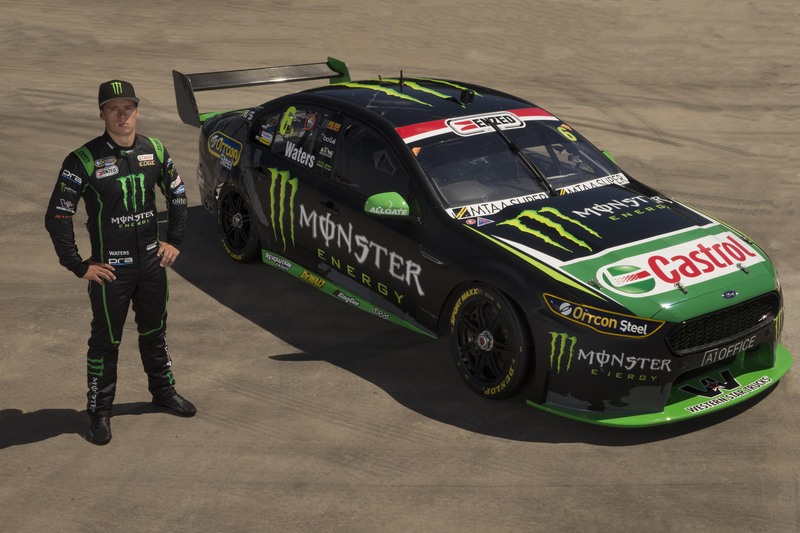 “We are all very pleased to have Monster Energy come onboard with Cameron, it is a great fit for our team and V8 Supercars as a whole,” Edwards said. Waters will debut his new Monster Energy FG X Falcon at the 2016 V8 Supercars season-opener in Adelaide later this week. 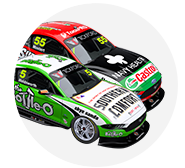 V8 Supercars returns to your screen on FOX SPORTS 506 and Ten HD from Friday. Click here for full TV times.